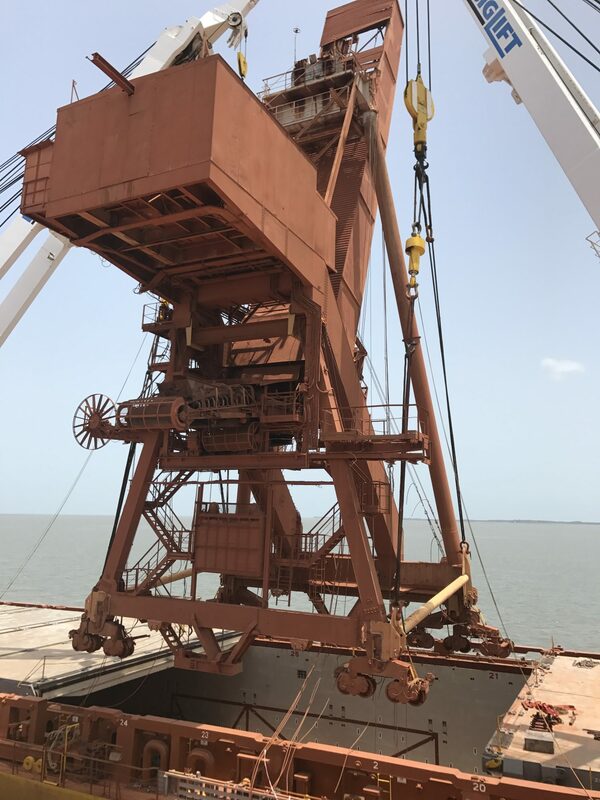 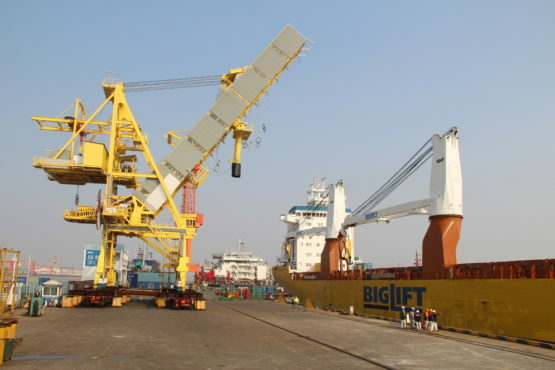 Replacing a continious shiploader in Kamsar, Guinea. 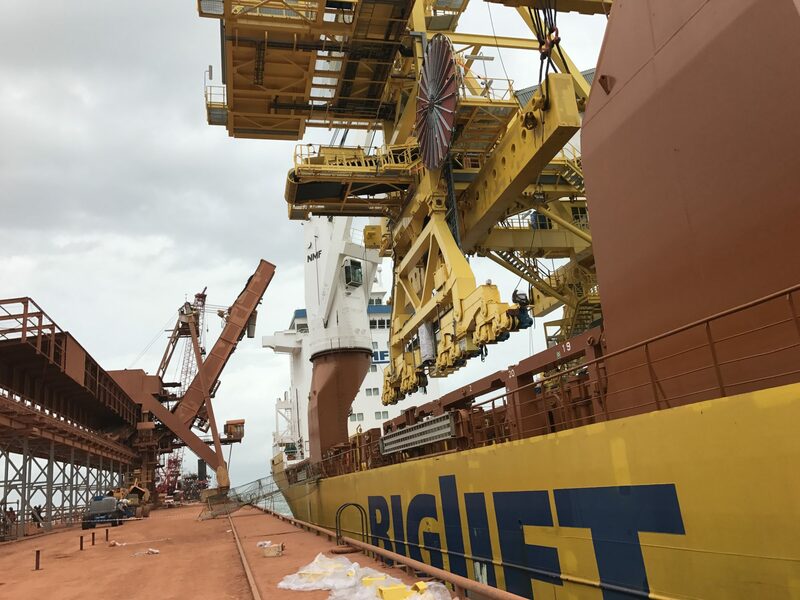 The 40 year old bauxite ship loader at the CBG site in Kamsar, Guinea was replaced. 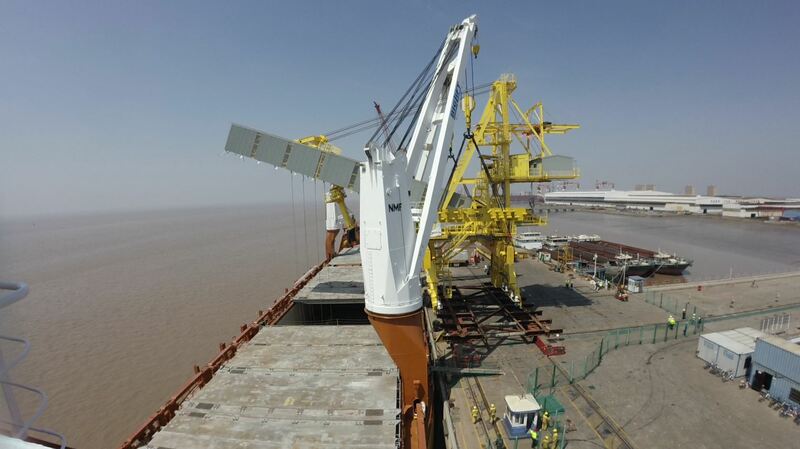 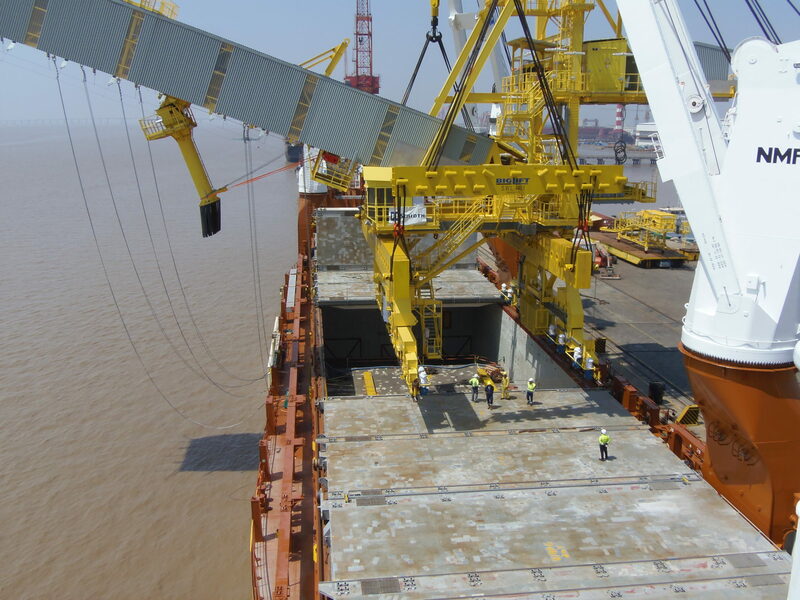 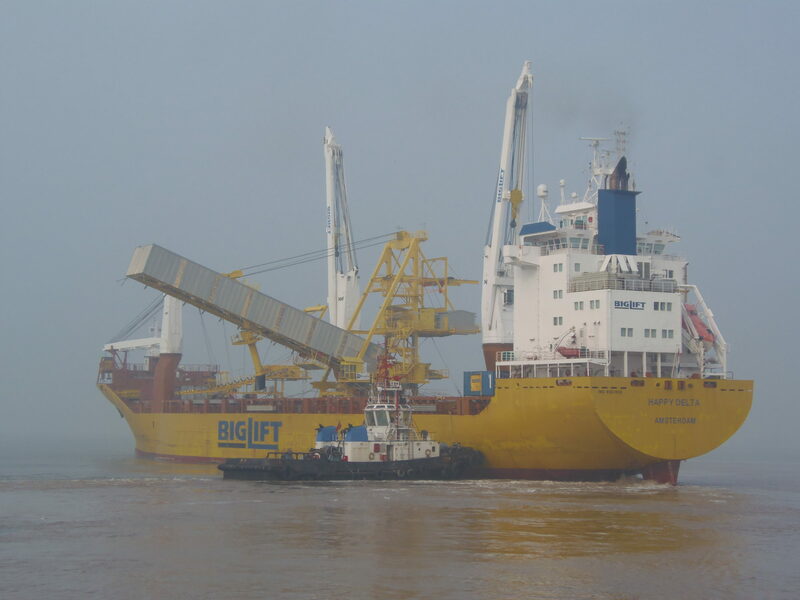 The new shiploader has been transported by means of a heavy lift vessel from China to Guinea. 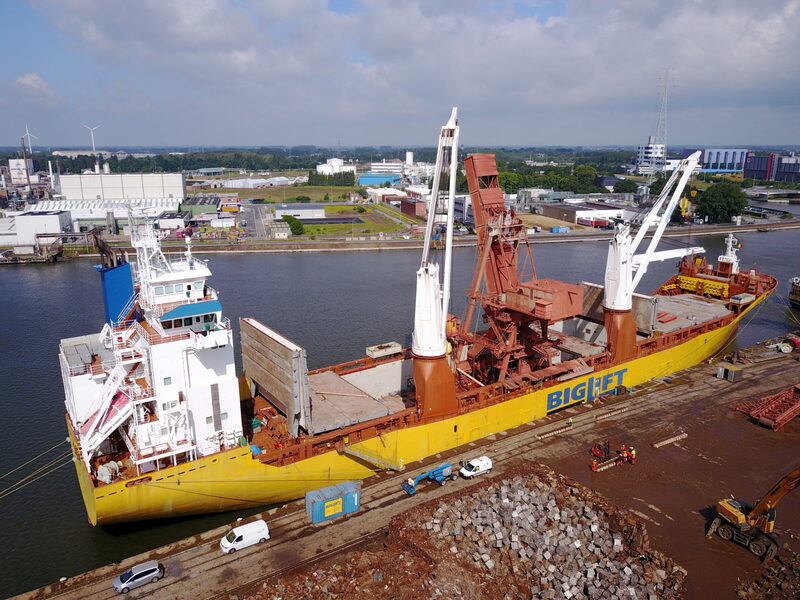 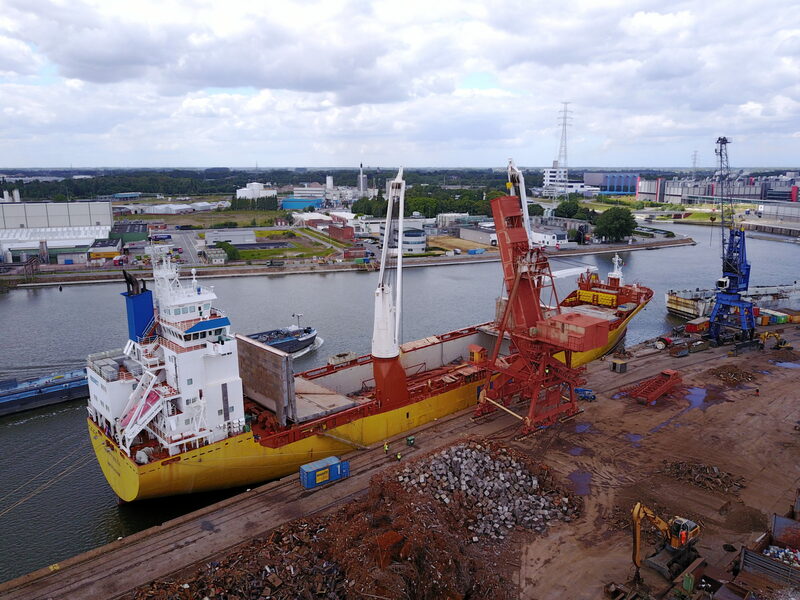 After installation on the loading quay, the old shiploader was lifted and secured on the HLV and shipped to Ghent for dismanteling. 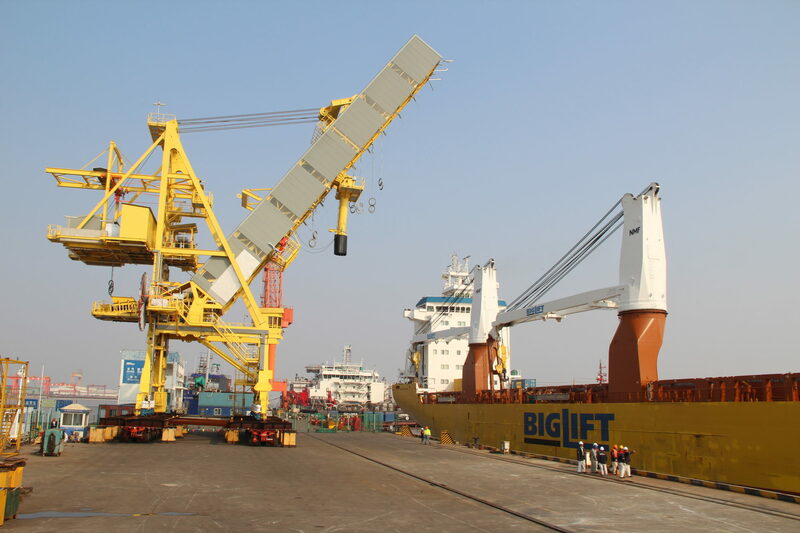 Responsibility Cargo integrity study and supervision of loading, securing and discharging.